We are lucky in HFSS to have the Izak9 maths programme. Izak9 provides exceptional opportunities for the teaching and learning of mathematics. 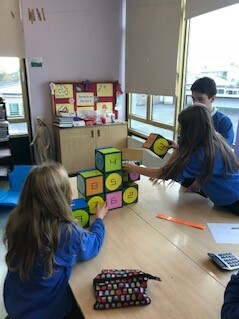 Izak9 can support the needs of pupils of all abilities and preferred learning styles as there is content available at all levels, as well as there being the facility for pupils to develop content of their own - elevating thinking skills and building confidence and self-esteem.